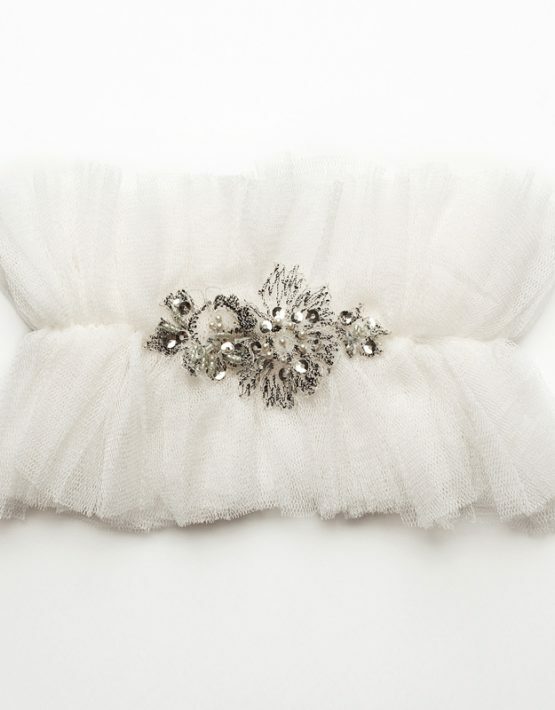 This sumptuously soft silk tulle wedding garter is perfect for the sartorial bride. Adorned with an embroidered floral appliqué of silver sequins and lustrous beads – it’s a glamorous finishing touch that adds a little sparkle. A statement of pure luxury. 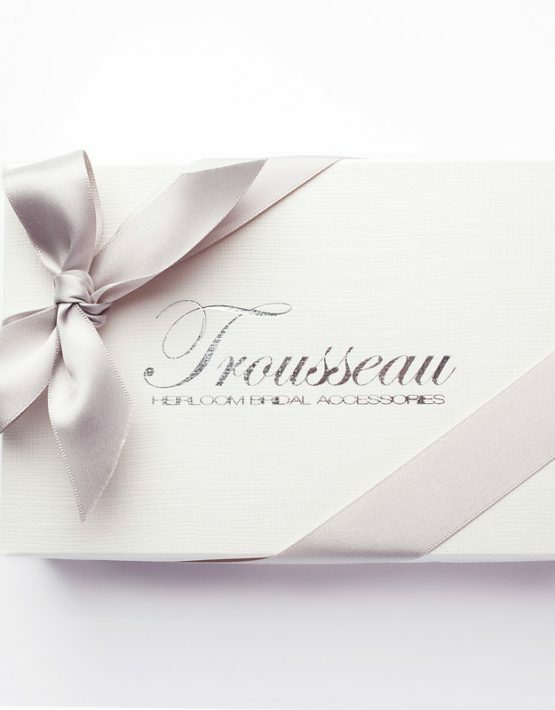 Each wedding garter is hand made in Australia using only the finest laces, silks, trimmings and carefully sourced embellishments and arrives beautifully presented in a signature keepsake box for you to treasure always. This garter is standard size and stretches to 41-56 cm / 16-22 inches.